There's nothing better than to hear it from the horse's mouth, so to speak, below is a sample of one of our recent Facebook posts. Take a minute to see for your self the comments left by some of our many clients. 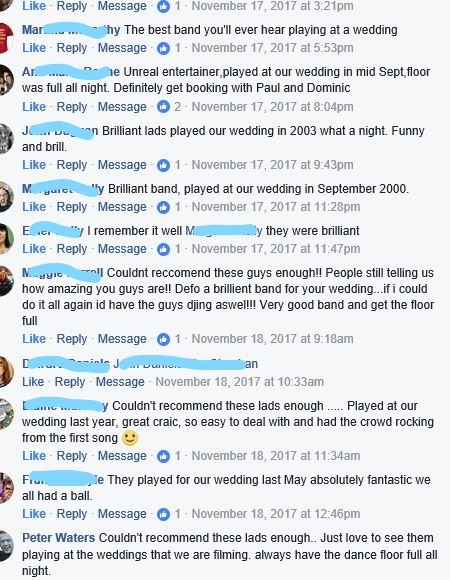 We would like to thank everyone who has left comments on our page over the years, if your looking for an independent view of a band there's no place better.